After Hurricane Matthew, our local contacts in the north of Haiti have been inspired to make their communities safer for the future. 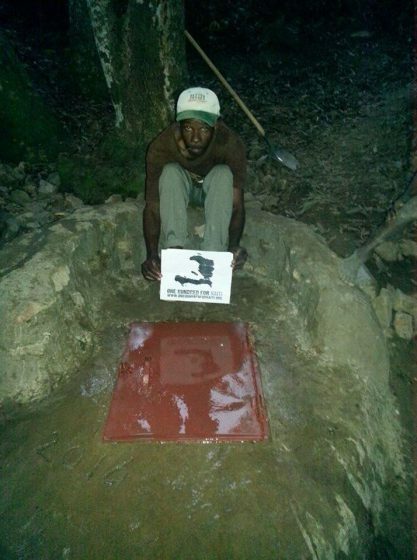 They just sent us a photo of yet ANOTHER completed water cistern (which YOU provided the funding for!) to protect yet another group of families from cholera. Each tank is locally designed and locally constructed, and catches naturally flowing water at its source and holds it so that it can be treated in the case of any natural event or disaster which might reintroduce cholera or contaminants from the water table. The Ron and Don Show featured Executive Director Greg Bennick on their afternoon show today to talk about the values of One Hundred For Haiti, our approach to relief efforts after a disaster like Hurricane Matthew, and how people can get involved to help. The interview is runs 9 minutes and 18 seconds. Thank you Ron and Don! Check them out on Facebook here. And also give small amounts of financial support directly to 20 mothers who have babies under 3 years old. This is just the beginning. Next we will likely be using your donations to support a pediatric team heading to the south. We are in communication with them today awaiting details and plans to make sure all money will be used as its intended. We will always act in ways which insure the best possible use for your donations. 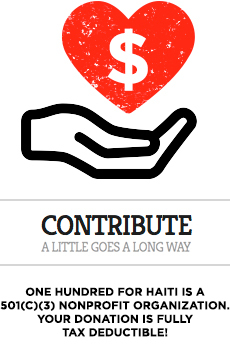 “Your donations to One Hundred For Haiti got locally-sourced Hurricane relief in motion today in Haiti. Close to one hundred for these kits were put together by our contact in Haiti for direct distribution to people in need in the south. 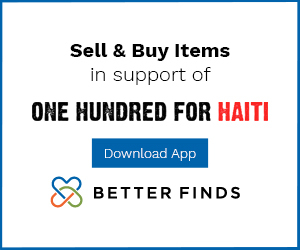 I stress “locally-sourced” because I don’t want to fall into the trap of shipping supplies to Haiti which costs twice: we pay for shipping to Haiti then local Haitians pay through losses incurred when free supplies show up in their country and undercut their sales or production of items available there already. Nearly one hundred kits are going out this morning by truck from Port au Prince with a hundred more funded five minutes ago as I sit up with insomnia at 3:30am working from my phone. 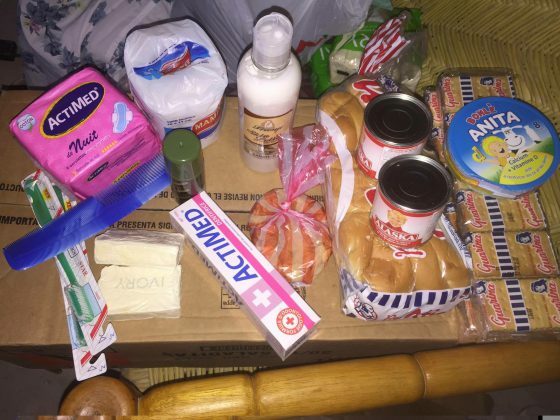 Each kit contains packets of crackers, bread, and other foods, personal items like toothpaste, toothbrushes, toilet paper, soap, Kotex, and as funds allow, clothing and blankets. All locally sourced. All on the way. In the last 48 hours we have been in touch – as much as communication breakdowns due to the storm have allowed – with allies in Haiti asking the most important of questions: what do YOU need? 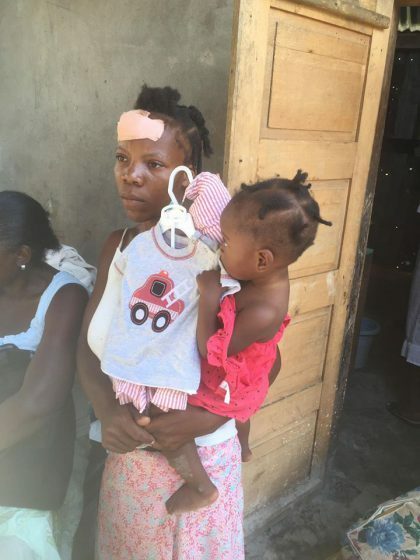 Secondly, and this will help us make sure that every dollar donated to us during this time is used most effectively, we are looking into what local resources are available which we might support rather than sending aid wildly and thus duplicating available local Haitian resources. The difficult issue is that the bridge at Petit Goave is down, and this is the major way that supplies reach the south. It might be that sending things by air is the only way. We will know soon. We would rather wait to hear absolute news than to send money without knowing exactly where its going and why. 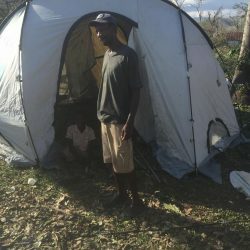 After the earthquake, countless tons of supplies were sent to Haiti and many of those supplies were essentially free/donated examples of products already grown, made, and manufactured in Haiti. By sending free supplies without asking first what was available locally, many local producers found themselves undermined by the aid. In order to prevent this from happening, we are being careful and strategic. As news from Haiti unfolds, so will our action/reaction plan. We won’t be the first on the ground, and we won’t have the biggest response, but we will make sure that not one dollar donated is squandered on goodwill gestures that are disconnected from the reality of the situation and the needs and desires of the people. More soon.